As scientists seek to unravel the many factors that lead to breast cancer, research in Austria may have uncovered one small "chink in the armor" that could soon lead to better health for women everywhere. Studies there have identified a new way to normalize levels of Transforming Growth Factor-beta (TGF-beta), a protein that is the culprit in many chronic, malignant conditions. "In steady-state amounts, TGF-beta plays an important role in the body's ability to repair and heal itself," says Aftab Ahmed, Ph.D., Director of R&D and Business Development at Marlyn Nutraceuticals. "However, research has shown that excessive levels of TGF-beta trigger abnormal growths that can give rise to malignancies." Now researchers in Austria have found that daily intake of systemic oral enzymes helps to restrict TGF-beta within the healthy levels that the body requires. Drs. Lucia Desser (Institute for Cancer Research, University of Vienna, Austria) and Karl Ransberger (MUCOS Pharma, Munich, Germany) studied the effect of systemic enzymes on TGF-beta levels, and found that enzymes consistently brought these levels back into the normal range for their patients. For more information and results of the Austrian study, please contact Dr. Desser at Ldesser@hotmail.com. Now the new Austrian data indicate that systemic enzymes can also play an important role in supporting women's health. Breast cancer strikes nearly 200,000 women in the United States each year. 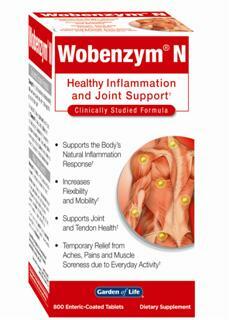 Systemic enzymes have been used for decades to modulate the immune system and normalize inflammation. Systemic enzymes work by breaking down harmful proteins, such as excess TGF-beta. Several tens of scientific and clinical studies corroborate the benefits of systemic enzymes in the maintenance of good health and to better manage age-related afflictions and frailties. The link between TGF-beta and age-related health problems has long been recognized. The New England Journal of Medicine recently cited a large body of research tying TGF-beta to many age-related conditions (May 4, 2000 issue). Based on the Austrian research, systemic enzymes offer a safe, wholesome solution for both men and women looking to maintain optimal health with advancing age.